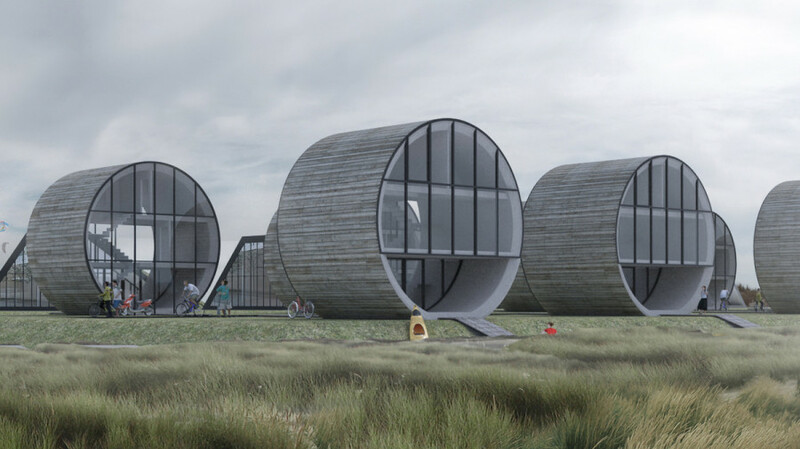 It's been a banner year for architecture your ten-year-old self dreamed of -- from 3D printed homes to buildings grown from trash. 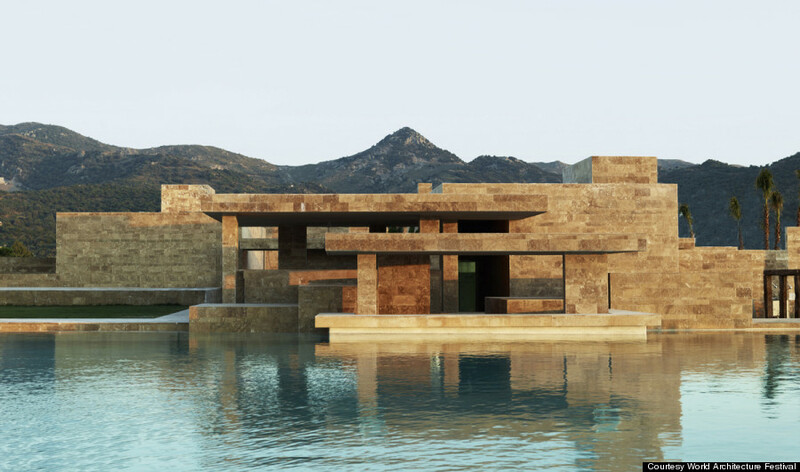 Below, we've compiled our favorite buildings of 2014. 1. a21studio's Rainbow Chapel: This rainbow chapel and community center, on the outskirts of Ho Chi Minh City, gives life to a region lacking in community centers for people to host conferences, weddings and exhibitions. The multicolored wonder was named World Architecture Festival (WAF)'s "building of the year" in 2014. 2. Isfahan Dreamland Commercial Center by Farshad Mehdizadeh Architects: This commercial center in Isfahan, Iran is still just a plan by Farshad Mehdizadeh Architects. The geometric design is an attempt to harmonize the city's aesthetic with a pre-existing building -- and is fittingly called Dreamland. 3. Freedom of The Press Monument by Gustavo Penna Arquiteto & Associates: This glass monument honoring the freedom of the press in Praca Central, Brazil is a 42,000-square-foot design by Gustavo Penna Arquiteto & Associates and has been called "a gesture in glass." 4. 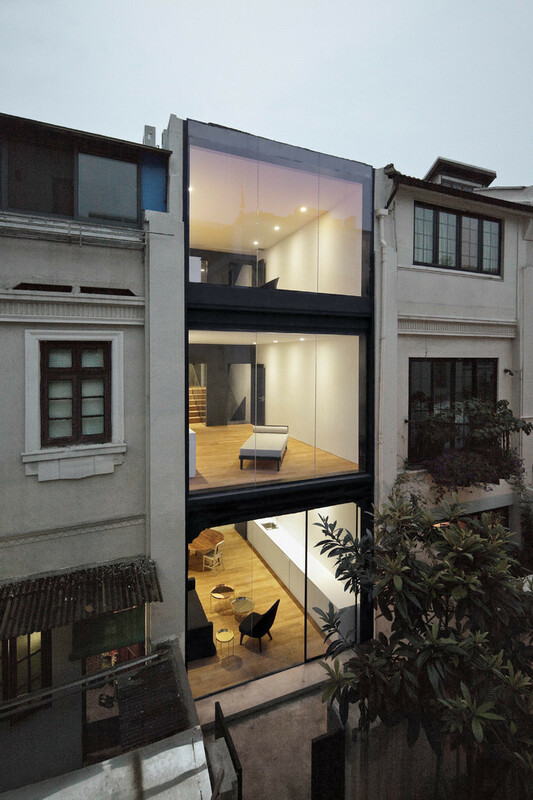 Neri&Hu's Split House: This split level apartment series in Shanghai updates a crumbling lane house -- once a staple design in China. 5. 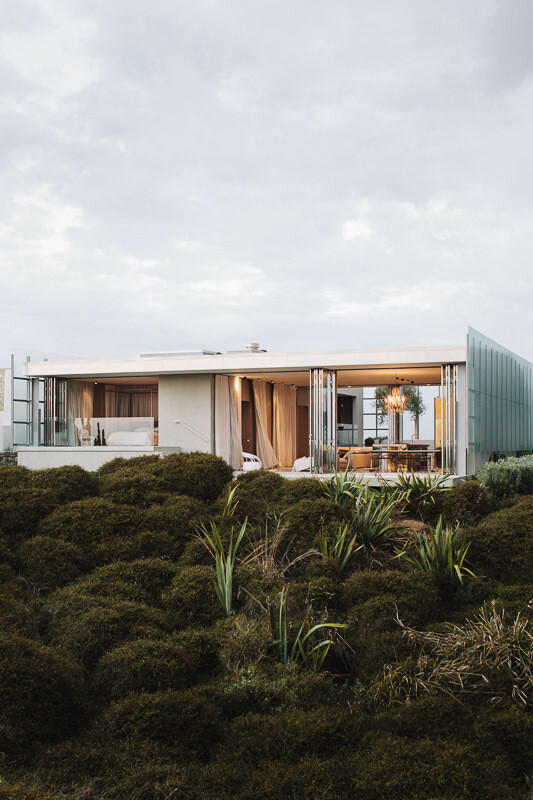 Dune House by Fearon Hay: This villa is an hour's drive north of Auckland, on New Zealand's North Island. Called Dune House, the home was designed by Fearon Hay to suit its mellow white-dune-and-beach surroundings. 6. Yalikavak Marina Complex by EAA-Emre Arolat Architects: This is a stunning shopping center for upper middle class consumers in Yalikavak, on the southwestern coast of Turkey. 7. The Blue Planet by 3XN: This futuristic aquarium in Copenhagen, Denmark is fittingly called the Blue Planet. 8. 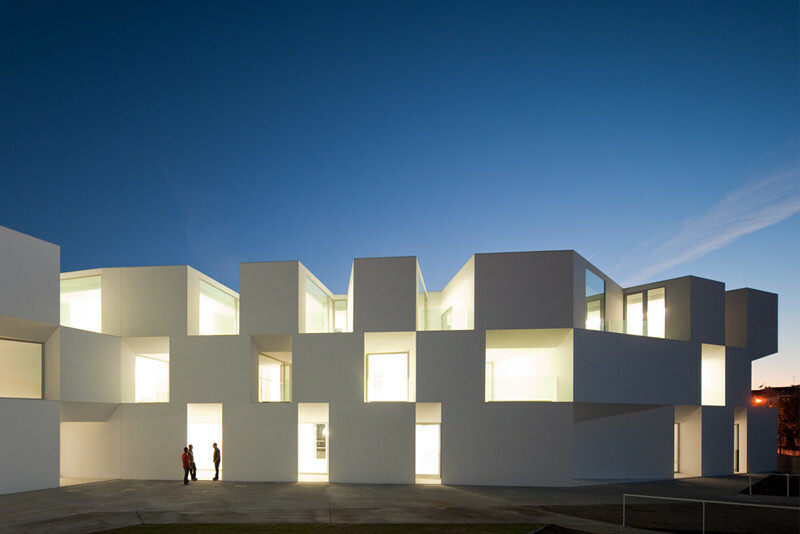 Alcácer do Sal Residences by Aires Mateus: This suite of residences for the elderly, in Alcácer do Sal Portugal was designed by architec, Fernando Guerra, who describes it as a prime setting for a specific kind of "micro-society" -- a cross between a hospital and a hotel -- that enables both privacy and a sense of community. 9. Red Pepper House by Urko Sanchez Architects: For this camouflaged vacation home in Lamu, Kenya, the client, a lover of nature, requested that the design preserve as much of the surrounding forest as possible. 10. Hotchkiss Biomass Power Plant by Centerbrook Architects and Planners: This equally camouflaged building on the campus of the Hotchkiss School in Connecticut, named the Hotchkiss Biomass Power Plant, puts a fittingly green facade on a facility that burns sustainably harvested woodchips to heat the more than 600 residents at the sprawling school. 11. Tree Snake Houses by Luís Rebelo de Andrade + Tiago Rebelo de Andrade: This series of tree house-inspired homes in Portugal are not only whimsical, but sustainable. 12. The Hebei Academy of Fine Arts: A new art school in China, the Hebie Academy of Fine Arts has been drawing attention for its bizarre architecture, which is an almost exact knock-off of the Hogwarts castle from the Harry Potter film franchise. 13. Studio Cachoua Torres Camilletti's Residential Towers: This architectural feat would be built in Hong Kong, a place with a strong physical and symbolic connection to rice. 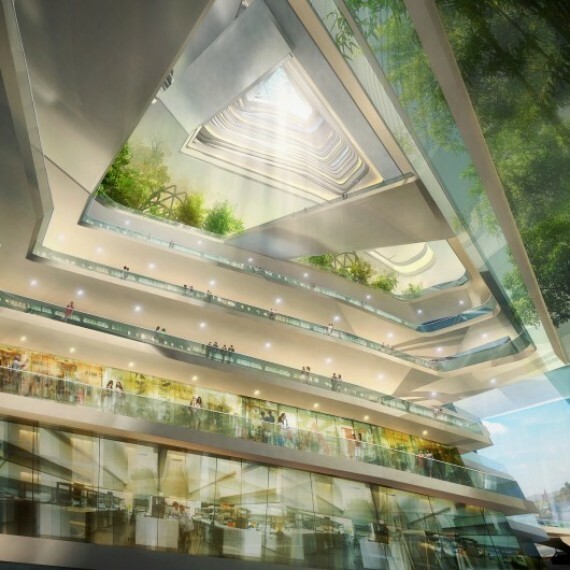 In fact, the skyscraper would be part tower, part rice farm, with rice terraces sitting atop the monstrous conceptual building. 14. 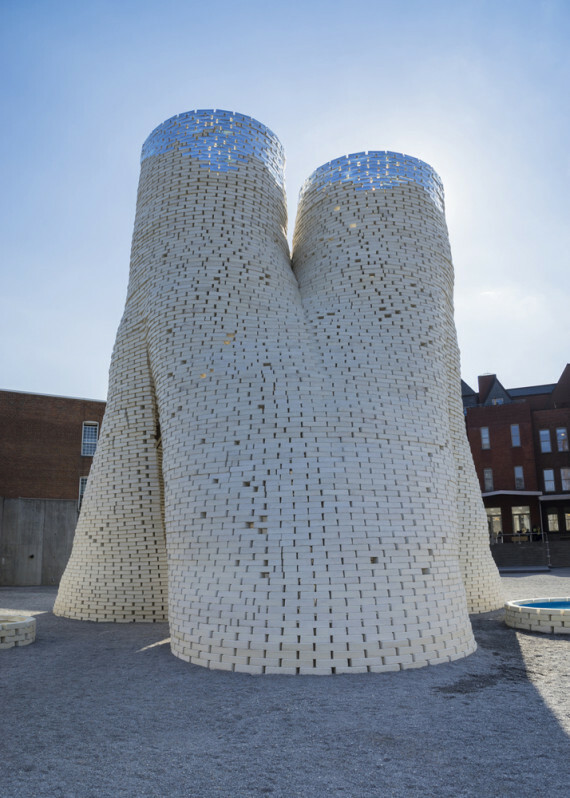 David Benjamin's The Living: This completely organic tower, made from cornstalks and the root-like structures of mushrooms, called mycelium. The "growing" design was recently crowned the winner of the Museum of Modern Art’s Young Architects Program. 15. DO Architects' Rolling Homes: These "rolling," single-family homes in Svencelė, Lithuania maximize indoor space and light. 16. China's 3D Printed Homes: These 3D printed houses in China are part of a series of 10 single-story homes fitted with plumbing, electrical wiring and insulation after construction, which took less than 24 hours. 17. The LEGO House: This Lego-inspired "hands-on minds-on experience centre" in Denmark welcomes visitors to experience the beauty of the LEGO legacy. 18. SURE Architecture's Endless City in Height: This "endless" skyscraper in London is still in the design phase. The dizzying tower does away with the notion of stacking floors on top of each other, instead winding two street-sized ramps into the sky as an extension of the city. 20. Agence Chartier Corbasson's Organic Skyscraper: This organic skyscraper in London would grow as the nearby residents recycle. The design, still in proposal stages, hinges on a symbiotic process by which refuse is converted into material that then gets used to build new floors inside the structure. <em>Designed by Antoni Gaudi in 1882.</em><br> "The Sagrada Familia church might be called one of the strangest monuments of the Catholic faith."